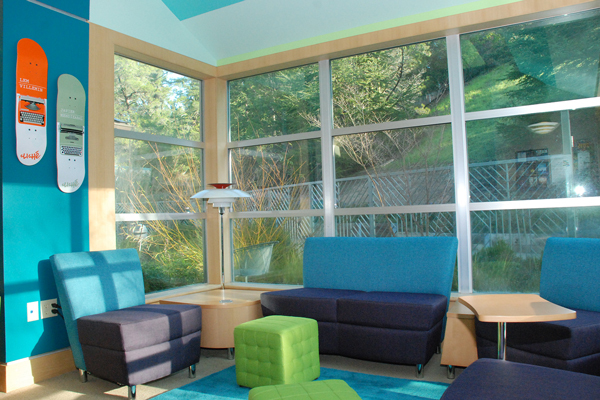 Thanks to generous private donations from the Hart family; the Friends of the Orinda Library, and additional financial support from the Contra Costa County Library system, Orinda teens now have their own designated teen area. In 2014, newly hired library staff Melanie McCallum, Teen Services Librarian, and Adriana Nino, Library Assistant, were quick to notice that library space originally designated as the Young Adult area was instead being used exclusively by adults. With help from a subcommittee of Friends they investigated other area library teen spaces, conducted research on current thinking on library services for teens, attended workshops on design of library spaces, and presented a proposal to completely overhaul the “YA corner” to make it a space that teens would be excited to use. Reflect the communities the library serves. Be proportionate in size to the percentage of a community’s teen population. 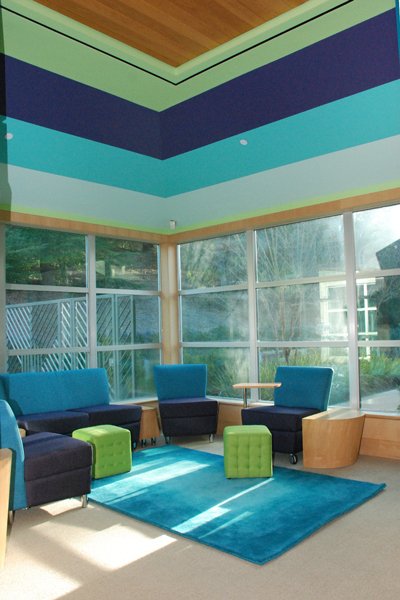 Incorporate creative design and signage to make it evident that the area is for teens. Contribute to a sense of teen belonging, community involvement, and library appreciation. McCallum’s design board shows the new color scheme, themes, skateboard deck art and graphics, along with contemporary furniture. New colors, furniture, rug, art and a completely new paint color scheme will all combine to create this lively and welcoming new Teen Area. Friends of the Orinda Library and Orinda Library staff will host an opening day party for the finished space sometime this winter 2015. The newly formed Orinda Library Teen Advisory Group will be instrumental in planning activities and programs to take place in the new space.